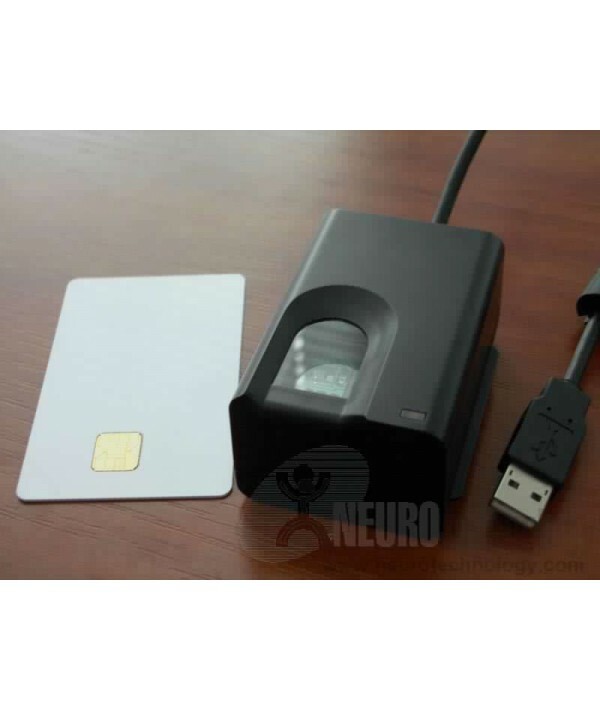 The Futronic FS82 Fingerprint Smart Reader combines Futronic's FS80 USB2.0 Fingerprint Scanner and an ISO7816 smart card reader into one device.FS82 has exactly all features of FS80. It can be used as purely fingerprint scanner with all Futronic's standard software. The smart card reader in FS82 can handle any ISO7816 compatible smart card and can also be used as a standalone smart card reader.